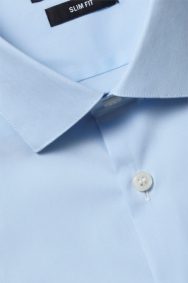 Shirting simplicity at its best. In a classic shade of sky blue with a regular collar and single cuffs, this DKNY shirt will see you sharply dressed for any occasion. It’s cut for a slim fit that’ll define your frame, but thanks to built-in stretch properties, you’ll also get to enjoy complete freedom of movement and all-day comfort. 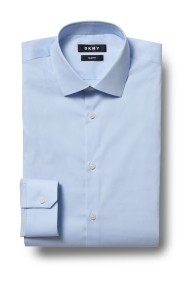 An ability to pair with countless suit and tie combinations is this shirt’s real strength. Stick with a dark blue tie for business, or perhaps get creative with colourful spots, stripes or paisley patterns. Great for and style. Really comfortable to wear.